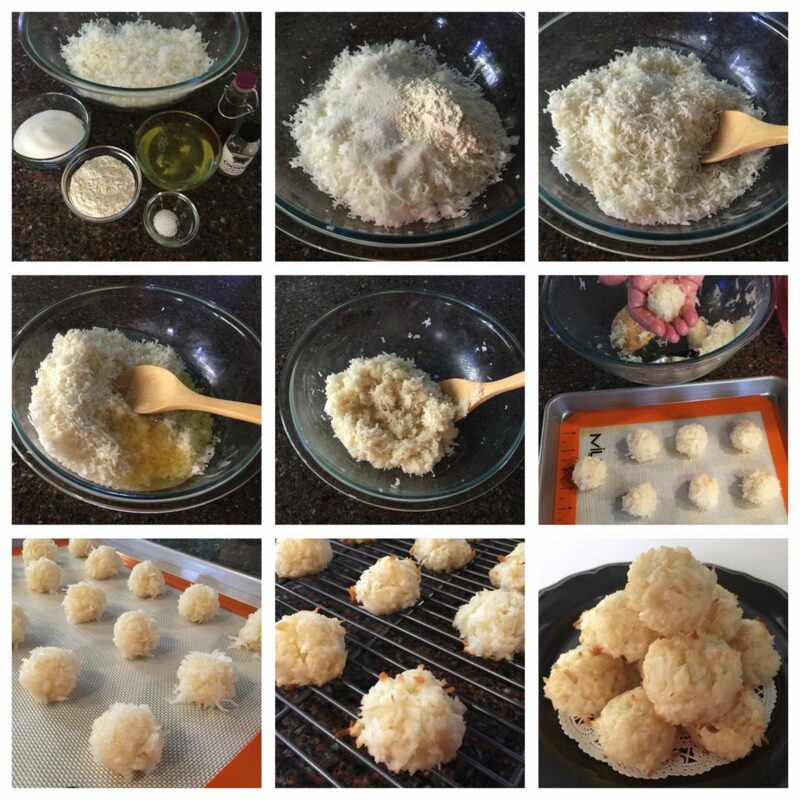 Perfecting these Coconut Macaroons was quite a journey. It took countless bags of coconut and egg whites, as well as many other ingredients. Sometimes the seemingly simplest of recipes turn out to be anything but. I can say this happened to be one of them. After a week’s worth of experiments, I finally was able to create the product I liked, crunchy on the outside, soft but firm on the inside with a great coconut taste. Now, let’s get to making these delights from my easy to follow recipe. Heat oven to 325°F. Line 2 baking sheets with Silpat or with lightly greased parchment. In a large mixing bowl, fluff the coconut to remove any clumps. Add the sugar, flour and salt and mix until the ingredients are blended. In a separate bowl combine the egg whites and the two extracts. Add the egg mixture to the coconut mixture, mixing until the coconut is coated and all the ingredients are thoroughly blended. Using a tablespoon cookie scoop, form approximately 1 inch balls with your hands and place them on the prepared baking sheet. Space them about 1 inch apart. Bake 20 to 25 minutes or until bottom edges are golden brown. Immediately transfer to a cooling rack. 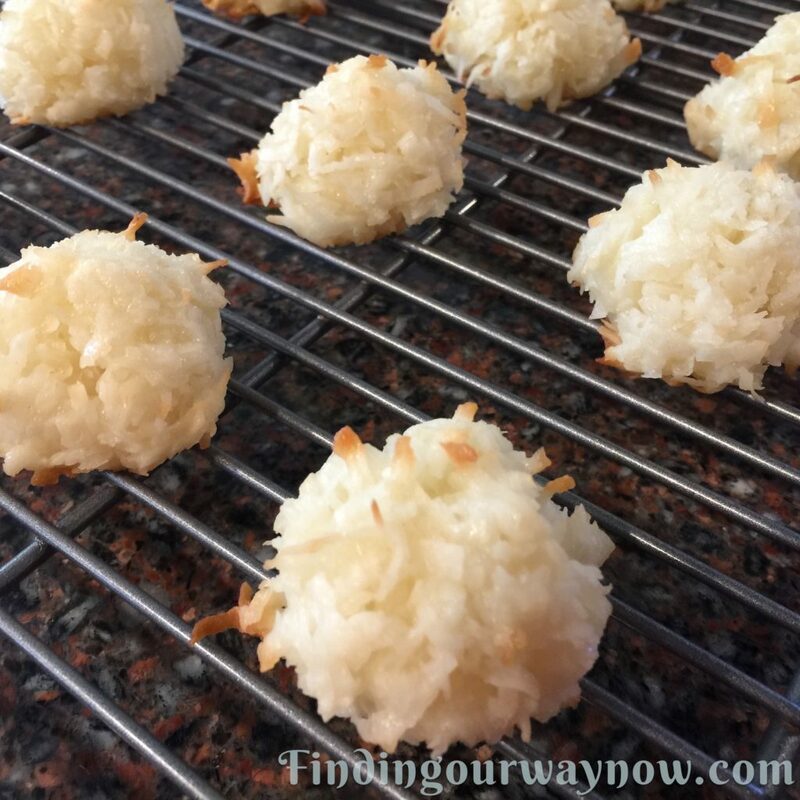 Allow coconut macaroons to cool completely. Dip half a cookie in dark chocolate. Drizzle the top of the cookies with a thin stream of dark chocolate. To make Macaroon Kisses press a solid milk chocolate candy piece into center of each warm macaroon immediately after baking. Place a dollop of dark chocolate on top of a cookie and add a whole roasted almond on top. Notes: The dough is quite sticky. When forming your balls, having damp hands, not wet, helps to keep the dough from sticking too much to your hands. The baking time will vary depending on the size of your balls. The larger they are, the longer they’ll need to bake so adjust accordingly. Never substitute carton egg whites for fresh. Fresh egg whites make a huge difference. After the cookies are done, immediately remove them from the baking sheet, or they will continue to cook, or they might stick, making them harder to remove. Another idea is to use almond extract in place of the two extracts I mention in the recipe. 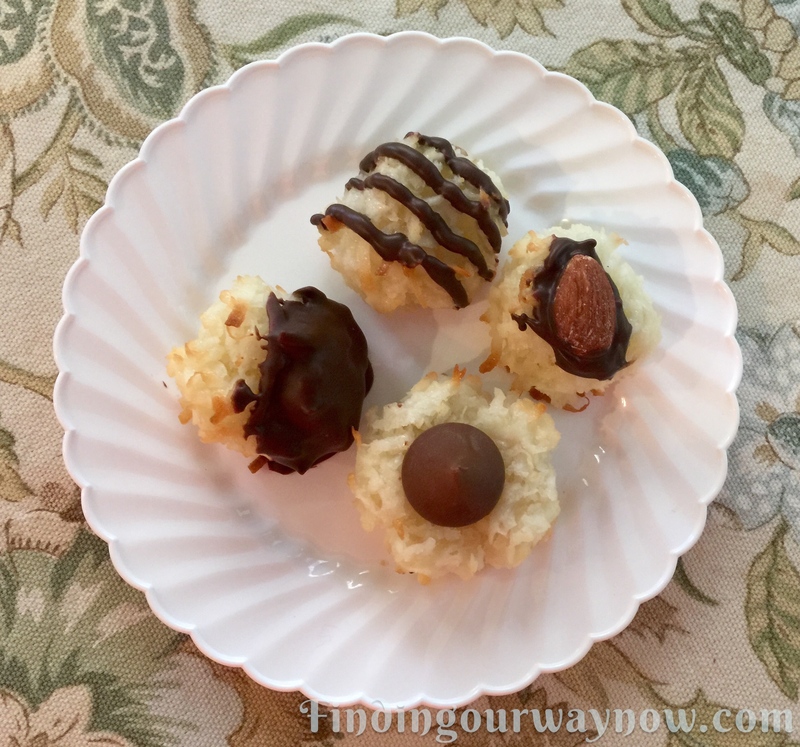 You heard me say this so many times before; these Coconut Macaroons are SO easy and they’re SO fun to make. 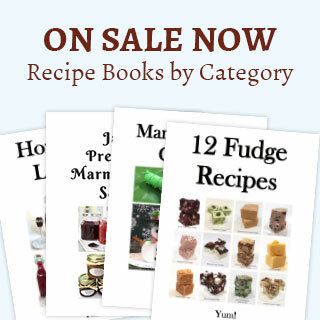 They make great gifts from your kitchen for the holidays, a hostess gift or just for someone special. Again, all you need is a gift box or cellophane treat bags and a bit of ribbon and voila. Then again they may not last long enough to make a gift bag of these goodies. If you enjoyed these “Coconut Macaroons,” check out these Palmier Cookies, Easy Peanut Butter Cookies, and Homemade Oreo Cookies.